JEREMY TAMBLING (jeremy.tambling@manchester.ac.uk) is professor of literature at the University of Manchester and author of Blake’s Night Thoughts (2004) and of several other monographs on nineteenth- and twentieth-century modernity. 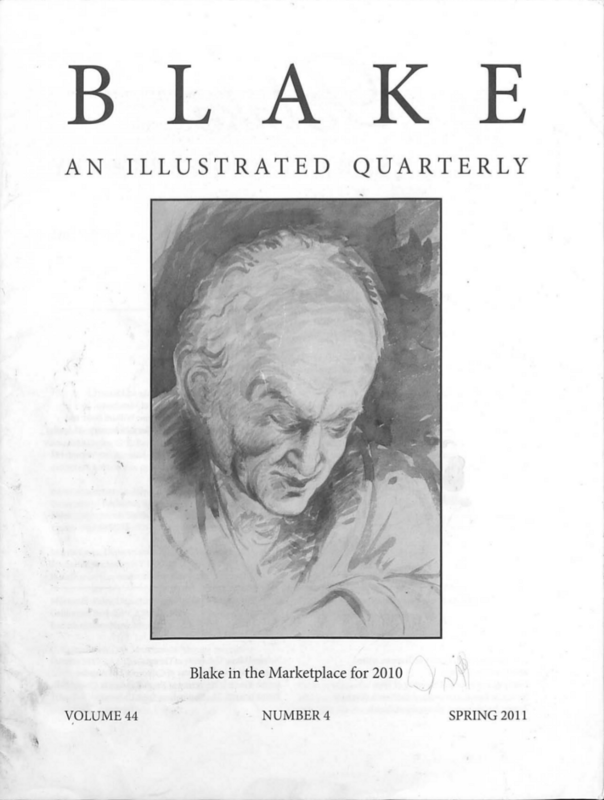 Cover: A watercolor copy, 31.4 × 19.4 cm., of John Linnell’s 1820 pencil study of Blake. Date and artist unknown. Essick collection. For discussion, see pp. 137-38.